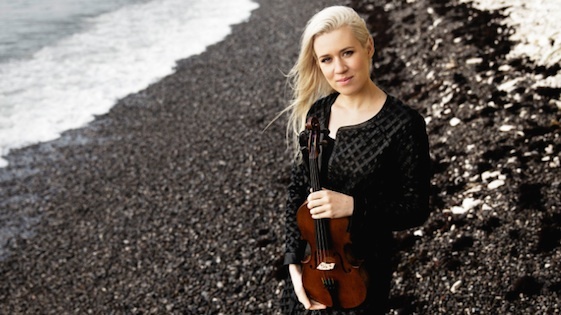 March 8, 2018, 4:12 PM · Welcome to "For the Record," Violinist.com's weekly roundup of new releases of recordings by violinists, violists, cellists and other classical musicians. We hope it helps you keep track of your favorite artists, as well as find some new ones to add to your listening! Eldbjørg Hemsing. Photo by Nikolaj Lund. March 9, 2018 at 09:47 PM · Anyone know what type of shoulder rest she is using here? Looks like something I could be interested in. March 10, 2018 at 08:38 PM · Erik, let me see if I can find out..
March 11, 2018 at 10:14 PM · Just for the records: The "long-forgotten" Borgström violin concerto was released just 2010 on a Simax CD with Jonas Batstrand and that recording also made its way (unfortunately) to youtube. March 12, 2018 at 12:26 AM · Sounds like it's making a comeback!